Throughout Ireland this year, we have been remembering those killed in both the Easter Rising in 1916 and those killed in some of the major battles during World War I 100 years ago. Many of the commemorations tried to strike a note of balance and to avoid, which may help to shape a more balanced approach to the Remembrance Day commemorations later this month [13 November 2016]. But in some parts of Ireland there may be reluctance to recall the Irish men and women who played key roles in World War II. In Crete a few months ago, I was reminded of the 75th anniversary of the Battle of Crete and of the role played by Sir George Beamish from Dunmanway, Co Cork, who was the senior RAF officer on Crete during that battle in May 1941. In an unexpected coincidence, I was also in Dunmanway in May 2016, and I realised the unique contribution of the four Beamish brothers – Victor, George Charles and Cecil – who were accomplished sportsmen and who had distinguished careers in the Royal Air Force. These four Beamish brothers were the sons of Francis George Beamish and Mary Elizabeth Beamish of Dunmanway. 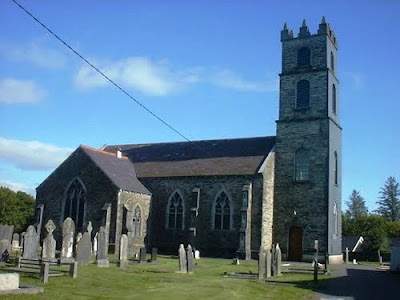 The Beamish family has lived in that part of Co Cork from before 1688. Francis George Beamish was appointed the principal of the Model School in Dunmanway in 1903. One of the most famous pupils there was the Irish republican, Sam Maguire (1877-1927). Like the Beamish brothers, Sam Maguire was baptised in the Church of Ireland, but had left the Model School by the time the Beamish family arrived. Sam Maguire is said to have recruited Michael Collins into the IRB while they were both working in the post office in London. He later took the anti-Treaty side in the Civil War, and lost his post in the Civil Service. The GAA gave his name to the All-Ireland Football Cup. Meanwhile, Frank Beamish left Dunmanway in 1912, becoming a school inspector, first in Dublin, then in Co Derry (1914) and finally in Co Antrim. The eldest of these four brothers, Group Captain Francis Victor Beamish (1903-1942), was an RAF fighter pilot and flying ace during World War II. Victor was born in the headmaster’s residence at the Model School in Dunmanway on 27 September 1903. He attended Coleraine Academical Institution and then entered the RAF in 1921. During his pre-war career in the RAF in India and as a flight instructor in England, Victor played rugby for Harlequins, Leicester, Hampshire, the RAF and Irish Trials for several years. When he was admitted to hospital with TB in 1933, it seemed his RAF career had come to an end. He resigned his commission and in 1936, he moved to a civilian post at RAF Aldergrove, near Belfast. When his health recovered later, he returned to Aldergrove and became an honorary aide-de-camp to the Governor of Northern Ireland. 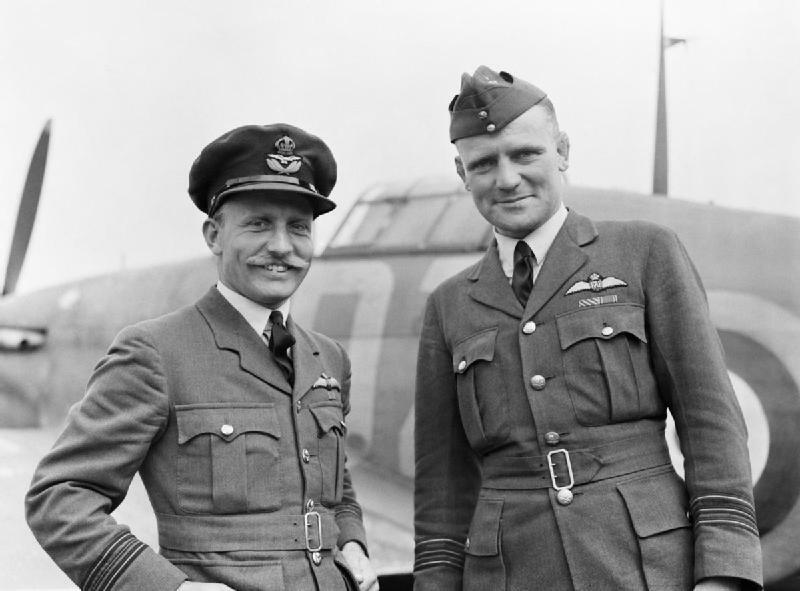 At the outbreak of World War II, after a short time in Canada, Victor returned to England and became a Wing Commander. As a fighter pilot, he quickly claimed up to a dozen German Messerschmitts and many other German and Italian planes. During the Battle of Britain, from 10 July to 31 October 1940, he claimed at least 12 German planes and was awarded the Distinguished Service Order (DSO) and the Distinguished Flying Cross (DFC). However, on 7 November 1940, while he was on patrol, Victor collided with another RAF plane and made a forced-landing at Leeds Castle in Kent. By March 1941, he was unable to fly regularly but he still flew occasionally over occupied Europe and received a Bar to the DSO that September. Victor and Wing Commander RF Boyd were on a reconnaissance flight on 12 February 1942, when they sighted the German Fleet making its ‘Channel Dash.’ Then on 28 March 1942, Victor sighted a German formation just south of Calais. In the battle that followed, he was attacked and was last seen entering a cloud near Calais. He was 38. The second brother, Air Marshal Sir George Robert Beamish (1905-1967), was a senior RAF commander until his retirement in the late 1950s. 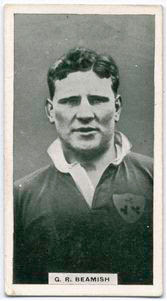 Before World War II, George too was a keen rugby player, playing for Leicester and he was capped 26 times for Ireland. In 1930, he was selected for the Lions tour. George Beamish was born in Dunmanway on 29 April 1905. He went to school in Coleraine before joining the RAF, and he was commissioned in 1924. Later he became a Flight Commander, and then a Squadron Leader, and in 1939, he was posted to the Middle East. On 17 May 1941, he was appointed senior RAF officer on Crete, overseeing the arrival of units being withdrawn from mainland Greece. However, following the German invasion of Crete later that month, this action turned into the defence of the island. When Crete fell, George ordered the RAF squadrons to withdraw to Egypt, but he remained on Crete with General Bernard Freyberg. Both men eventually escaped from Crete in late May 1941, and he spent the rest of World War II in North Africa. After the war, George held senior positions in the RAF and was knighted (KCB) in 1955. He retired back to Ireland in 1958, and in 1962 he was appointed High Sheriff of Co Derry. George Beamish won his first international cap for Ireland in 1925 at the age of 19, playing in the Home Nations Championship in a 6-6 draw against England. At the time, he was playing for Coleraine at club level. He played in the remaining games of the tournament, with a home loss to Scotland and an impressive 19-3 win over Wales. Later, when he was playing club rugby for Leicester, George was invited to play for the Barbarians. In 1928, nearly three years after his last international game, George was recalled to the Ireland team, and he was seldom out of the Irish squad from 1928 to 1933. In 1930, he was selected for the Lions tour of Australia and New Zealand. He played in all five Tests and 17 of the regional matches, scoring two tries. After the tour, George returned to the Ireland squad for the 1931 Championship, playing in all four games. He was the captain of the Ireland team against the touring South African team in Dublin in 1931. He remained captain for the 1932 Home Nations Championship, and led Ireland to the first Championship win for 20 years. The 1933 championship was his last for Ireland, playing in all three games and as captain of the team that defeated Wales. 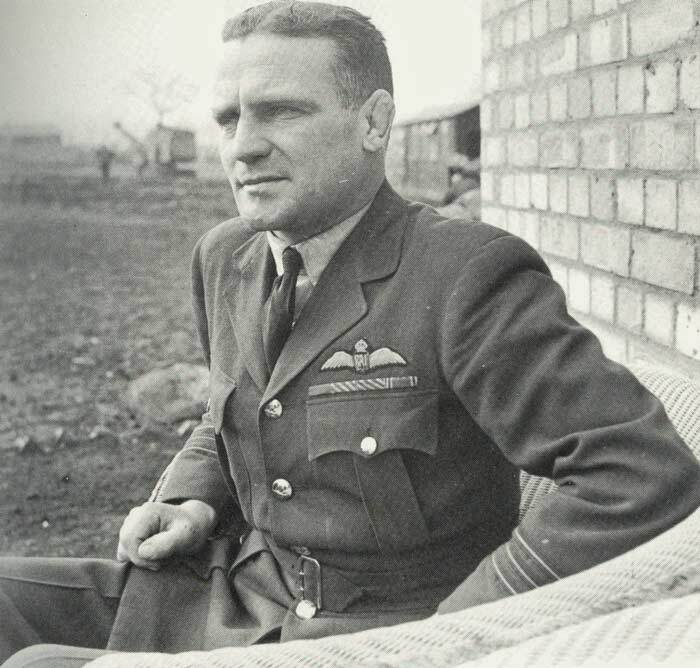 George also played club rugby for London Irish and was captain of the RAF rugby side. George also led a delegation that complained that the blue of Scotland, white of England and red of Wales was represented in the strip without the green of Ireland. A green flash was added to the socks, and in 1938 this became the green turnover that has been part of the strip ever since. He died on 13 November 1967 in Castlerock, near Coleraine, Co Derry. The third Beamish brother, Group Captain Charles Eric St John Beamish (1908-1984), was also an Irish rugby international and an RAF pilot in World War II. He gained 12 caps for Ireland as a prop forward and also played for the Lions in the 1936 tour of Argentina. Charles Beamish was born in Dunmanway on 28 June 1908. He played his first international match for Ireland against Wales in the 1933 Home Nations Championship. He was then playing at club level for North of Ireland FC, and when he joined the Ireland squad he came in at prop, with his elder brother George at No 8 and team captain. Ireland won 10-5, and Charles was re-selected for the final match of the tournament against Scotland in April. By then, he had switched clubs to Harlequins. Although missing the opening and losing game against England, Charles was back in the Ireland squad for the second game of the 1934 Championship, playing against Scotland. By then, he was playing with his brother George for Leicester. Charles also played against Wales in the final game in 1934. It was a poor year for Ireland, which finished bottom of the table without a win. In 1934-1935, he toured with the Barbarians, and he played nine matches with them in 1934-1938. In the 1935 Championship, Charles Beamish played for Ireland in all three matches, and despite a bad loss against England in the opening game, victories over Scotland and Wales secured the title for Ireland. Later that year, when played against the touring New Zealand team in Ireland, he scored his only international try, although it was not enough to stop the All Blacks. In 1936, he toured Argentina with the Lions. The youngest of the Beamish brother, Air Vice Marshal Cecil Howard Beamish (1915-1999), was a practising dentist, a well-known rugby player and an RAF officer during World War II. He was born on 31 March 1915, and also played rugby for London Irish, the Barbarians and the RAF. Although he was never capped for Ireland, he was an Irish International golfer (1950-1956). He died on 21 May 1999. He was the last surviving Beamish brother. Another teacher at the Model School was Trevor Sargent, who spent two years there (1981-1983) before returning to Dublin, first as a teacher in Balbriggan and later as a Green TD and Cabinet Minister. He is now an ordinand from the Diocese of Cashel, Ferns and Ossory in the Church of Ireland Theological Institute. Today, Sam Maguire is remembered throughout Dunmanway with signs, monuments, and a statue in the Market Square. But, while members of the Beamish family still live in the same house where these ‘high-flying’ brothers and their sisters were born, there is no public monument in Dunmanway to remember their feats in the air and on the ground. Canon Patrick Comerford lectures in the Church of Ireland Theological Institute. This feature was first published in the ‘Church Review’ (Dublin and Glendalough) and the ‘Diocesan Magazine’ (Cashel, Ferns and Ossory), in November 2016. Opening hymn: 262: ‘Come ye faithful, raise the strain,’ by John of Damascus (ca 675-ca 750). There was a time when a course in Patristics would have been one of the core First Year modules for ordinands in an Anglican theological college. Scholars like Bishop JB Lightfoot (1828-1899) and Bishop Brooke Westcott (1825-1901) placed Patristics at the heart of Anglican theology from the late 19th century on, for many generations. ● The divisions between East and West, or between Greek and Latin methods of theology, and the extent to which they use classical philosophy. But do not be frightened by this topic. Already, through the Liturgy module, some of you are familiar with the Didache and the Shepherd of Hermas, anonymous works dating from the same period as the Apostolic Fathers, and perhaps with the Apostolic Constitutions, important texts in understanding the Liturgical practices and beliefs of the Early Church. And most of you recall the teachings of the later Church Fathers, in the debates over the Canon of the Bible and the formulation of the Creed of Nicaea and Constantinople. ‘Five centuries and the series of fathers in that period’ … those five centuries and those fathers are the people and the period covered by the whole area of Patristics. The field of Patristics is that of the Early Christian writers known as the Church Fathers and their writings. The name comes from the Greek πατέρας (pateras) and the Latin pater (father). The period is generally considered to run from the end of the New Testament period or the end of the Apostolic Age (ca 100 AD) to either the Council of Chalcedon in 451 AD, or even to the Second Council of Nicaea in the eighth century. Many scholars today would prefer to refer not to Patristics or Patristic Studies but to Early Christian Studies. But Patristics is more than the study of historical figures and historical writers. It is not merely an exploration in antiquity that has the church as its main field of interest. It is the very study in which we come to understand how the continuity of the Apostolic and the post-Apostolic Church in prayer life, in spirituality, in sacramental life, in trying to hold together our unity as the Body of Christ, and in a spirituality that found its expression too in our Creedal and Trinitarian formulas. The prominent early Church Fathers whose writings form the basis for Patristics include Justin Martyr (ca 100-ca 165), Irenaeus of Lyons (ca 130-ca 200), Clement of Alexandria (ca 150-ca 215), Cyprian of Carthage (died 258), Athanasius of Alexandria (ca 296-ca 373), Gregory of Nazianus (329-389), Basil of Caesarea (ca 330-379), Gregory of Nyssa (ca 330-ca 395), Theodore of Mopsuestia (ca 350-428), Augustine of Hippo (354-430), Vincent of Lérin (died before 450) and Cyril of Alexandria (died 444). Their thinking and their writings are found in epistles or letters, apologetics or defence of the developing and unfolding doctrine of the Church, in sermons, in accounts of their saintly lives and their martyrdom – for it was said in those days the blood of the martyrs was the seed of the church – in philosophical writings, and in accounts of pilgrimages, particularly to Jerusalem. 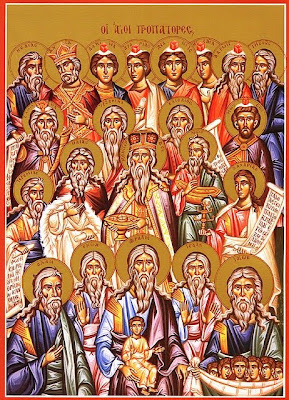 The Church Fathers are generally divided into the Ante-Nicene Fathers, who lived and wrote before the First Council of Nicaea in 325, and the Nicene and Post-Nicene Fathers, who lived and wrote after 325. In addition, the division of the Fathers into Greek and Latin writers is also common. Some of the most prominent Greek Fathers are: Justin Martyr, John Chrysostom and Cyril of Alexander. The Latin Fathers include Cyprian, Jerome, Ambrose of Milan, Gregory the Great and Augustine of Hippo. They lived and wrote across the Mediterranean world, in Constantinople, Alexandria, Antioch, Jerusalem, Rome and the area of north Africa around Carthage, as well as Milan. The Apostolic Fathers, who are a small number of Early Christian writers, lived and wrote in the second half of the 1st century and the first half of the 2nd century. They are acknowledged as leaders in the Early Church, and although their writings are not included in the New Testament, many are regarded as contemporaries of or students and followers of the Apostles, the generation that had personal contact with the Disciples. 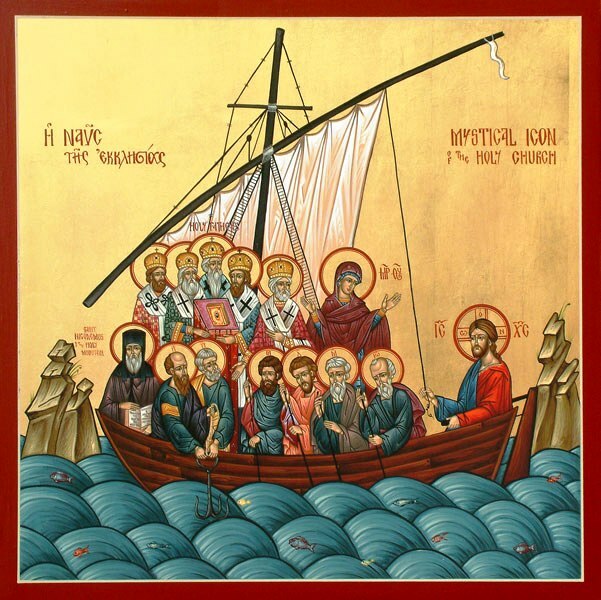 In this way, they are seen as the link between the Apostles, who had personal contact with Christ, and the later generations of Church Fathers. The Apostolic Fathers include: Saint Clement of Rome, who was alive around 96 AD; Saint Ignatius of Antioch and Saint Polycarp of Smyrna. Saint Clement of Rome was the author of the epistle known as I Clement (ca 96 AD). This is generally considered the oldest surviving Christian epistle outside the canon of the New Testament. In this letter, he calls on the Christians of Corinth to maintain harmony and order. Jesus Christ, whom as Lord we know.’ – To the Ephesians, 7 (Andrew Louth). ‘Where the bishop is to be seen, there let all his people be; just as wherever Jesus Christ is present, we have the catholic Church. Nor is it permissible to conduct baptisms or love-feasts [the Eucharist] without the bishop. On the other hand, whatever does have his sanction can be sure of God’s approval too.’ – To the Smyrnaeans 8 (Andrew Louth). Polycarp (ca 69-ca 155) was the Bishop of Smyrna (present-day Izmir in western Turkey). Irenaeus says ‘Polycarp also was not only instructed by the apostles, and conversed with many who had seen the Lord, but was also appointed bishop by apostles in Asia and in the church in Smyrna.’ (Adversus haereses, 3.3.4). According to the early Church historian, Eusebius, Irenaeus says that as a boy he had listened to accounts by Polycarp of his friendships with ‘John and with the others who had seen the Lord.’ Polycarp died as a martyr in Smyrna in 155 AD. The Apostolic Fathers were followed by the Greek Fathers, including: Irenaeus of Lyons, Clement of Alexandria, Athansius of Alexandria, John Chrysostom, Cyril of Alexandria, the Cappadocian Fathers (Basil of Caesarea, Gregory Nazianzus, Peter of Sebeste and Gregory of Nyssa), Maximus the Confessor and John of Damascus. Irenaeus, who was a disciple of Polycarp, wrote that the only way for Christians to retain unity is to humbly accept one doctrinal authority – episcopal councils, and he proposed that Matthew, Mark, Luke and John should all be accepted as canonical Gospels. Clement of Alexandria united Greek philosophical traditions with Christian doctrine. Athanasius of Alexandria is remembered for his role in the conflict with Arianism and for his affirmation of the Trinity. At the First Council of Nicaea (325), he argued against Arius, who said Christ is of a distinct substance from the Father. The Cappadocian Fathers made major contributions to the definition of the Trinity, finalised at the First Council of Constantinople in 381 and the final version of the Nicene Creed, which was agreed there. Among the Latin Fathers of the Church were Saint Cyprian of Carthage, Saint Hilary of Poitiers, Saint Ambrose of Milan, Saint Jerome, Saint Augustine of Hippo, Saint Gregory the Great. The Desert Fathers were early monastics in the Egyptian Desert. Although their writings are not as extensive, their influence was immense. 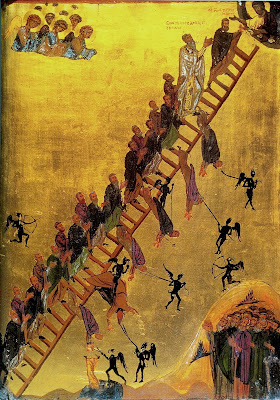 They include Saint Anthony the Great and Saint Pachomius. Many of their short and pithy sayings are collected in the Sayings of the Desert Fathers. A small number of Church Fathers wrote in other languages: Saint Ephrem the Syrian and Saint Isaac the Syrian, for example, wrote in Syriac, although their works were widely translated into Latin and Greek. In patristic writings, we find a non-negotiable concern for the poor, the sick, and those in prison, balanced with demands for personal responsibility, honest work, and an orderly social life. It is a common Patristic saying that of the two, schism is worse than heresy. Behind this thinking is the presumption that a heretic is sincere in his belief – however erroneous – and so it could be that God may at least judge him on the basis of his sincerity, his personal integrity, and his consistency of action in regard to his principles. The schismatic, on the other hand, has wilfully separated himself from others who share the same beliefs, thus denying the truth that unity and communion exist in the very confession of the same truth. Heresy might be seen as a sin of error, while schism is a sin against truth itself. If I ever had any doubts about the potential for humour among the Early Fathers, my misgivings were dispelled a few years ago by Dr George Bebabwi, an Egyptian scholar now living in Indianapolis. ‘I’ll get to them, in my own good time,’ the monk replied nonchalantly. 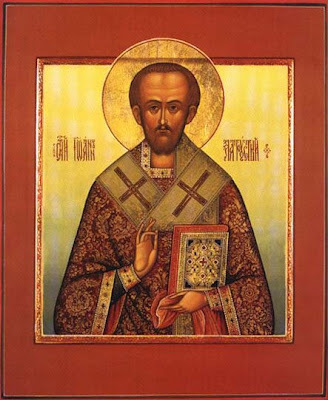 As you bring your desires and petitions before God in our time of silence, take with you the collection of prayers attributed to Saint John Chrysostom, or meditate on some of the quotations included in the hand-out. We come back together at about 9.50 for a closing prayer and hymn. Closing Hymn: 446, ‘Strengthen for service, Lord the hands’, from the Liturgy of Malabar and attributed to Saint Ephraim the Syrian (ca 306-373). SA Harvey, DG Hunter (eds), The Oxford Handbook of Early Christian Studies (Oxford: OUP, 2008/2010). MB Cunningham, E. Theokritoff (eds), The Cambridge Companion to Orthodox Christian Theology (Cambridge, CUP, 2008). Benedicta Ward, The Desert Fathers, Sayings of the Early Christian Monks (London: Penguin, 2003). Jesus Christ, whom as Lord we know. – Ignatius, To the Ephesians, 7 (Andrew Louth). ‘Where the bishop is to be seen, there let all his people be; just as wherever Jesus Christ is present, we have the catholic Church. Nor is it permissible to conduct baptisms or love-feasts [the Eucharist] without the bishop. On the other hand, whatever does have his sanction can be sure of God’s approval too.’ – Ignatius, To the Smyrnaeans 8 (Andrew Louth). ‘The bread which you do not use is the bread of the hungry; the garment hanging in your wardrobe is the garment of him who is naked; the shoes that you do not wear are the shoes of the one who is barefoot; the money that you keep locked away is the money of the poor; the acts of charity that you do not perform are so many injustices that you commit.’ – Saint Basil the Great. (Revd Canon Professor) Patrick Comerford is Lecturer in Anglicanism, Liturgy and Church History, the Church of Ireland Theological Institute. 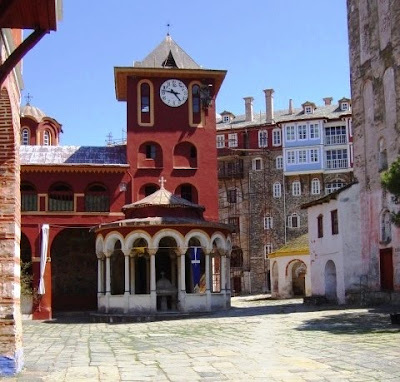 This essay is based on notes used for a lecture on Patristic Spirituality on 6 November 2016 in the Spirituality Programme as part of the Pastoral Formation module on the part-time MTh course. I am working throughout the weekend with part-time students on the MTh students, with lectures and seminars on the Liturgy module on Friday and Saturday, and a discussion of Patristic Spirituality in the Chapel of CITI later this morning [6 November 2016]. 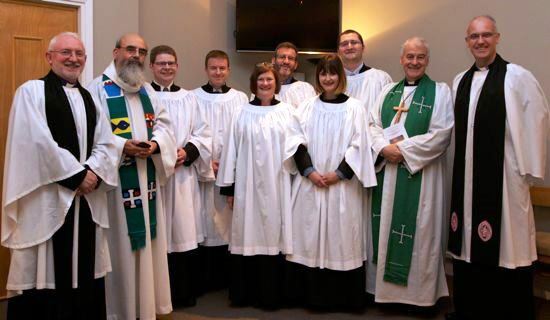 I was the deacon at the Community Eucharist in the Chapel on Wednesday evening [2 November 2016], reading the Epistle and assisting at the Holy Comunion, when six ordinands were commissioned as Student Readers by Archbishop Michael Jackson of Dublin. The six students are: Jonathan Brown (Down and Dromore), Emma Carson (Down and Dromore), Jonathan Cockerill (Connor), Graham Jones (Dublin and Glendalough) and Karen Salmon (Down and Dromore). The six students were presented for licensing by the Director of the institute, the Revd Canon Dr Maurice Elliott, and the Lecture in Missiology, the Revd Dr Patrick McGlinchey, who co-ordinates student placements. In his sermon, Archbishop Jackson spoke about the ministry to which the students would be ordained. He said that the Gospel reading (Luke 14: 25–33) suggested that weighing up the possible outcomes of a life-choice was liberating. ‘The top and the bottom of these parables is the following: you and I must make up our minds about the most secure of securities as we know them: materialism. Giving up things that delight us is a requirement of discipleship, so it is bound to be a requirement of the ordained ministry that follows from discipleship. Few of us are ready; fewer of us are willing to live immaterial lives. It is a change of spiritual attitude to which we are invited today and its purpose is to lighten our load and to equip us to be more spiritually nimble and more spiritually alert in our personal discipleship and in our ministry for and with other people,’ he said. The full text of the Archbishop’s sermon is available on the Dublin and Glendalough diocesan website here.